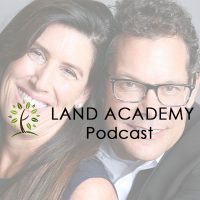 Steven Butala: Today, Jill and I talk about a start to finish land deal, and we’ll review it every little step of the way for you. Jill DeWit: Exactly. I’ve got numbers. Steven Butala: Jill diligently did a tremendous amount of calculation and note taking prior to the show, unlike most shows. Jill DeWit: What are you talking about? I do … And [inaudible 00:00:31] the other day. I do. Steven Butala: Before we get into the topic, let’s take a question posted by one of our members on the LandInvestors.com online community. It’s free. Jill DeWit: Where are you notes, Steven? I don’t see any notes on your side of the desk here, so just got to say. Jill DeWit: You know what it is? It’s me. “Jill, will you write down?” Just kidding. Steven Butala: I never treated you like a secretary ever. Jill DeWit: I know. I know. Steven Butala: You’ve been my partner in this from day one. Jill DeWit: I know. Thank you very much. Okay. Steven Butala: This question’s a little long, I have to tell you. Jill DeWit: Thank you. I will ready. Jill DeWit: Dustin asks, “Hi, Steven and Jill. Our membership to RealQuest Pro through Land Academy offers us an enormous amount of helpful data when pulling lists. Thank you, by the way, for this. When pulling a list under Custom Search, we always pick Property Detail on the left-hand side under Report Selection. I’ve noticed there’s also another selection under Report Selection called Homeowner Association. I would personally love to have HOA/POA data when downloading my lists. I prefer not to buy rural vacant land located in HOAs and POAs. Steven Butala: This is an incredibly brilliant question. I’ve said this a thousand times on the show before. I’ll say it again. I can tell this person, who’s a relatively new member, is going to kill it, just by the depth and how this question is written. Here’s the deal. RealQuest Pro is an aggregator of assessor data they take off the assessor database, the tax roll, and they add some stuff to it once in a while. Sometimes they don’t. They put it into their package, their format, and then we pay a subscription and get to use it. We’re a licensed provider, and subsequently, so do you. A lot cheaper, I might add if you just walked in there and got it yourself. Steven Butala: The assessor couldn’t give a hoot about HOA and POA data, so it’s not included. Jill DeWit: That’s true. It’s like an add-on. Jill DeWit: And puts it all together. Jill DeWit: I’m not sure how much I trust it, too. Honestly, when it gets in that situation, I’m still going to do old-school and double-check it anyway, so I don’t think it’s any extra work. And I’d hate to have you miss on some good deals. Steven Butala: That’s the real deal. Jill DeWit: What if it’s not 100% merged correctly and lined up right. I don’t know. I’m not a huge fan of that. I think don’t change a thing and just know it when you do what you’re doing. When you do your due diligence, that’s one of the things that you should check. Even if it says there is not one, I would still check it if it sounds like it’s Green Acres, parcel number 25. I’m going to still check and make sure that there is an HOA or there’s not an HOA. Steven Butala: So this is the read-between-the-lines topic in a lot of questions about data. I’m here to tell you, please keep this in mind. It’s crazy efficient the way we have this set up. For every 300 or 350 offers you sent out, you’re going to buy a piece of property. When you do the math on that, it’s staggering. Steven Butala: It’s absolutely staggering. There’s no more efficient to buy a ridiculously undervalued, sometimes unwanted, property, than sending out mail like this for any product type. I don’t care if it’s parking garages. It’s still going to be incredibly efficient. I understand and respect your question, and I’m glad you asked it. And I chose it for a reason, because it’s really brilliant. But obsessing on mailer efficiency, just get it in the mail and do it. Steven Butala: Today’s topic: Jill reviews a start to finish land deal that she’s just recently done days ago. This is the meat of the show. Jill DeWit: Thought it’d be fun to just pull one out that I’m just closing on right now this week, because it’s really interesting. We can talk about the numbers and what goes into it. Jill DeWit: Offer goes out. This is for 23 acres in Fremont County, Colorado. The offer price is agreed on 6,931.20. Steven Butala: So the offer went out among thousands and thousands of offers. Steven Butala: This one happened to get signed and sent back. Jill DeWit: Right. Thank you. Steven Butala: I’m trying to MC this. Jill DeWit: I like that. It’s all good. Steven Butala: Am I breaking your concentration? Jill DeWit: No, all good. Jill DeWit: Then what are the next steps? This one happened to come to me through deal funding, so what happened from this point was the person who sent the mail out, one of our members … We call him the manager in these transactions … he got the deal in. He did his own due diligence. It passed all his tests and knew he wanted to buy it. The price was good, had a good estimated sale price, which he estimated would be about $36,500. Which, by the way, would mean it would sell fast. Still under everything else out there, as you can see. It’s $7,000 and selling for $36,000, quickly doubling your money, and then getting out fast. Jill DeWit: Then he made a decision to say, “You know what? For whatever reason, didn’t have the cash, didn’t want to tie up that cash.” Decided to submit it to me, us, via Land Academy deal funding. Here comes a deal, and this was early in February, just … Came to me. So what do I do? I do my own due … We do. Not it’s kind of me. We transitioned. I do my own due diligence. I pull up the property. I’m looking at the location. I’m looking for access. I’m looking for utilities. Steven Butala: Just as if it was our own, because it is. Jill DeWit: Exactly. I’m looking to see are there buildings in the area? Is somebody already doing some stuff out there? I’m looking at all the things. The only thing that tripped my radar, which I went back to the manager, was I said, “You know what? Have you checked the FEMA …” I think you were involved in this one back when we’d started this, too, and then you transitioned to me. Steven Butala: I was. I remember this deal very, very specifically. Jill DeWit: “Have you checked the FEMA floodplain maps?” That was our only question. Steven Butala: It’s in a valley. Steven Butala: FEMA has a fantastic website. It’s unbelievable, actually. It’s 100% free. It’s FEMA.gov. I mean, if the entire country … It seems like every square inch of this country is mapped on there and easy to find out, within seconds, if your property’s in a flood zone. Jill DeWit: Exactly. So it all checked out, so I wrote, “Done. We’re doing it. Let’s fund it. Open escrow.” In this situation, the manager opened escrow with a title agent local to the property. You always want to do local to the property, not local to you. Someone who knows the area, right? That’s important. Open escrow, and we closed on it on February 13. And I’ll tell you, there were some back taxes in there that we said, “Fine.” We saw enough room in the deal that we would pay the back taxes, so all in with fees, closed on February 13 for $9,387. That was the total price. So that’s escrow fees, paid a little extra to keep title open, by the way, a hold open fee. Title insurance included, paying the back taxes, so we’re all caught up. And then the agreed upon price of 6,931 went to the seller. Done. Jill DeWit: Just now, on March 29, our manager, they market the property. I’m just the bank in this situation. We talk a little bit about it if they have any questions about any tips on it. But usually, they know what they’re doing, and I just tell them, “Do your normal thing. Get it out there all the normal places that you do it.” We agreed on the sales price, because we want to make sure that we’re getting what we want out of it. and they just ran with it. Jill DeWit: On March 29, they reopened escrow … We kind of had it held open, so it’s going to be a fast close now … at $36,500 as our sale price. As you can see, what was that, six weeks barely? Then when you do the math, we are both going to split … They’re going to get paid out … The manager who put no money down to open and all the closing’s taken care of, so they’re going to walk away at the end of the six weeks with $13,500. I’m going to get $13,500 plus my initial investment, that 9,387, right back in my bank account. Steven Butala: Here’s what that translates to from an ROI standpoint. We put in 10 grand, and we’re going to get 13 back in six weeks, which is great for us. We doubled our money in six weeks. Steven Butala: The ROI scenario for the manager, they put in zero. Steven Butala: They just sent the mail out, and we’re partners in it. We’re 50/50 profit partners, so it’s not like we’re regulated as a lender. So everybody wins here. Steven Butala: Everyone. Is there some trust? Yeah. Steven Butala: There’s a lot of benefits to having partners, the same way Jill and I are partners. Steven Butala: We’re not going to do a deal unless we think it’s great. Steven Butala: We’re not going to do a deal with you unless we think you’re great, or you got a good track record or a good attitude, at least. Steven Butala: There’s a lot of reasons why this is such a good situation for both parties involved. Jill DeWit: Exactly. It just gives you an idea what goes on. And I’m doing several of these a week, by the way. I’m spending … I don’t know … a half-hour a week on these. That’s it. It’s really the only time I spend on it is the due diligence part, and that’s minutes, not hours. Because they’ve already done their homework, too. I’m just kind of another pair of eyes on it. Gosh, just making sure we’re not missing anything, we’re in agreement on what we think it’s worth. Done. Then escrow is handling the rest, and I just have to show up … And I [inaudible 00:12:46] have to show up to sign on the sell side, technically, at the end, and that’s it. It’s fantastic. Steven Butala: So if it were our own deal … And we do a lot of deals just like this on our own. The only difference is on the sell side, there’s a lot of marketing. We have a marketing machine. You just post it on every single site and handle the inbound calls. Or more cases than not, now we hire a real estate agent that we trust or a fixed-price listing, let’s say. Steven Butala: That gets it out there in the MLS. That usually sells it within weeks. Jill DeWit: Broker Direct MLS or Congress. Steven Butala: Right. But, essentially, it’s the same thing. Steven Butala: It’s a win-win. Jill DeWit: It really is. I wanted to give some real numbers, because sometimes we talk, “Oh …” we all just skip along the top, “Buy it for 10, sell it for 20.” I want some real numbers, and I want some real dates. So I hope that really helps you, gives you a really good detailed example of what we’re doing. Steven Butala: It was the perfect scenario. Steven Butala: A perfect synopsis, Jill. Steven Butala: And I’m proud of you. Steven Butala: You guys really had this slicked. I don’t even know what goes on down there. Jill DeWit: We do. We have it down. Steven Butala: It’s really cool. Steven Butala: Well, you’ve done it again. You’ve spent another 15 minutes or so listening to The Land Academy Show. Join us next time for Finance Friday with me, Steven, Jill, and Justin. Steven Butala: I am proud of you, man. Steven Butala: It’s just amazing. You guys are just machines down there. Jill DeWit: Thank you. I like it. Please don’t look at our spreadsheet very much, because it’s more fun when you look at it like days go by, and then there’s stuff happening. Steven Butala: It’s just staggering what’s in there. Jill DeWit: Like more things are happening. It’s really more fun. Steven Butala: It’s got some traction now. Steven Butala: We started this on January 1 of 2019, and it’s staggering. Jill DeWit: I love it. It’s my favorite job of all the jobs and all of the hats that I wear. Jill DeWit: This one’s my favorite. It really is. Steven Butala: That’s great. I mean, I’m a natural deal maker, but the data part of deal making is more fun for me. Jill DeWit: I love [inaudible 00:14:41] And that’s great for me, too. Jill DeWit: Wherever you are watching or wherever you are listening, please subscribe and rate us there. We are Steve and Jill.